Despite falling to No. 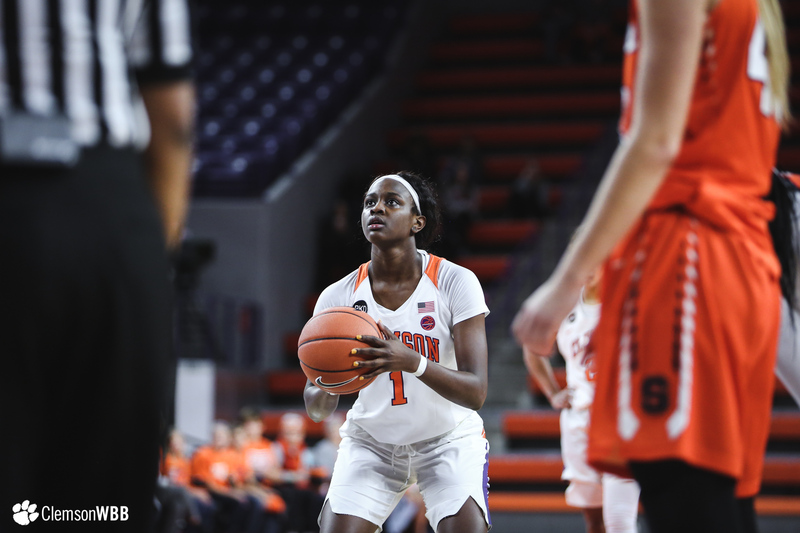 14 Syracuse 84-75 on Thursday night, the Tigers had positive performance in the second half of the game that bodes well as they continue conference play. 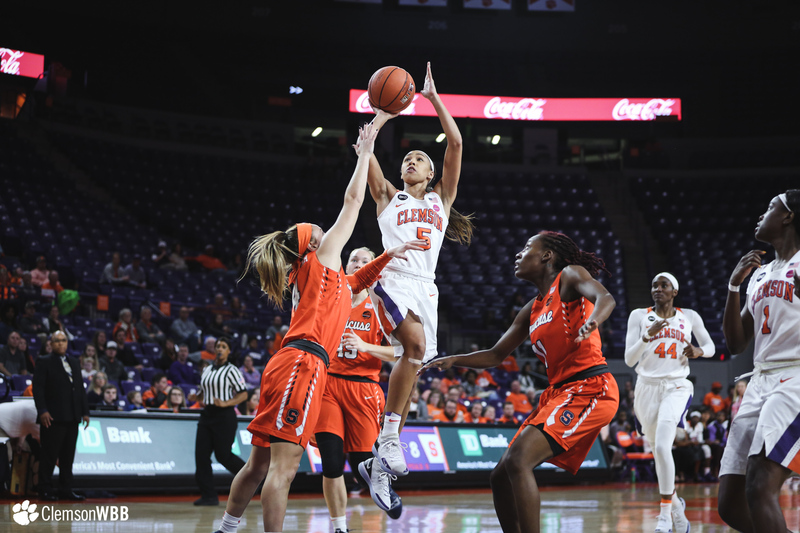 Down by 19 points early in the third quarter, Clemson made impressive comeback to pull to within three of the Orange midway through the fourth frame. 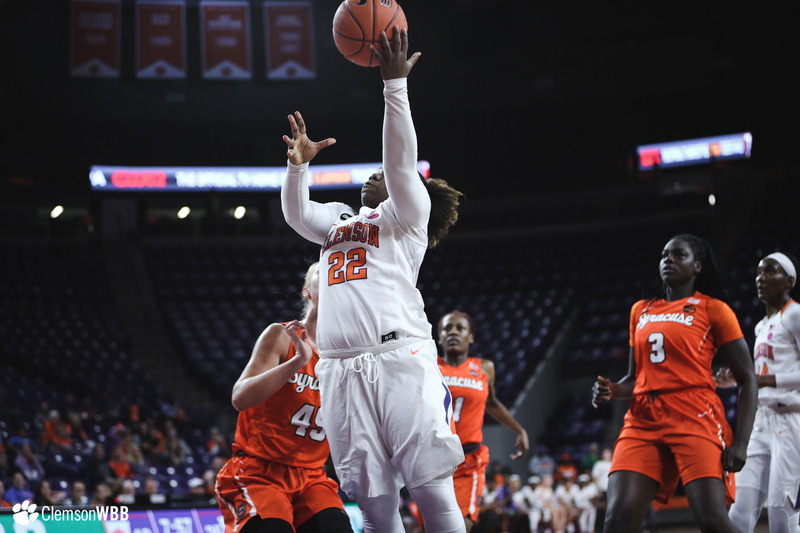 Syracuse came out firing in the third quarter, knocking down three 3-pointers, forcing head coach Amanda Butler into a timeout at the 8:13 mark. 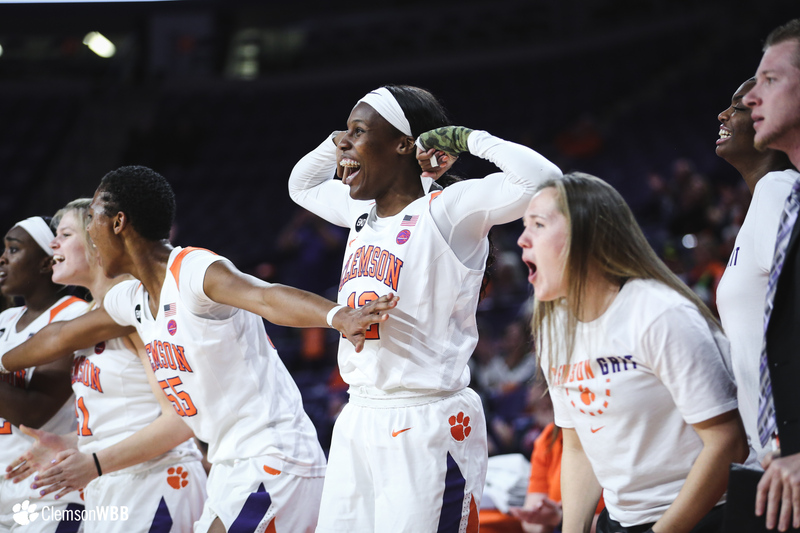 The huddle lit a fire under the Clemson bench and the tone of the second half from that point on was vastly different from the first 20 minutes of action. 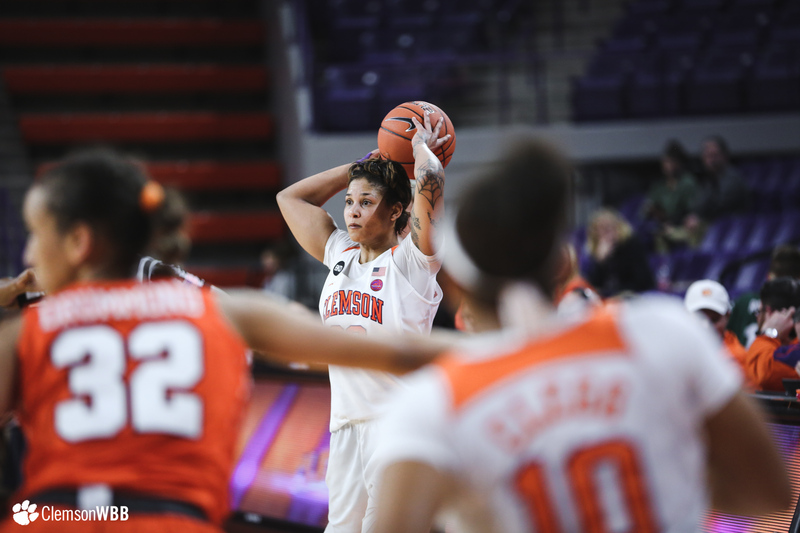 Locking down on both offense and defense, the Tigers improved in almost every statistical category coming out of the intermission. 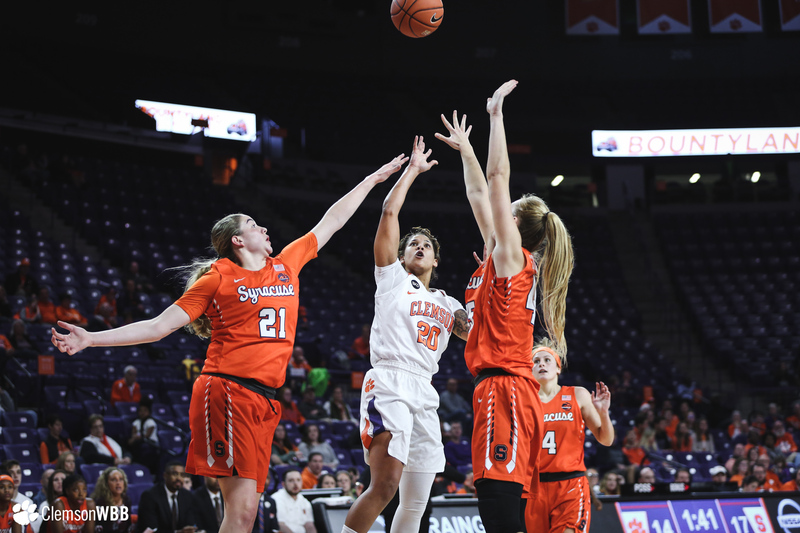 On the offensive side of the ball, Clemson found its rhythm where the team thrives: in the paint. 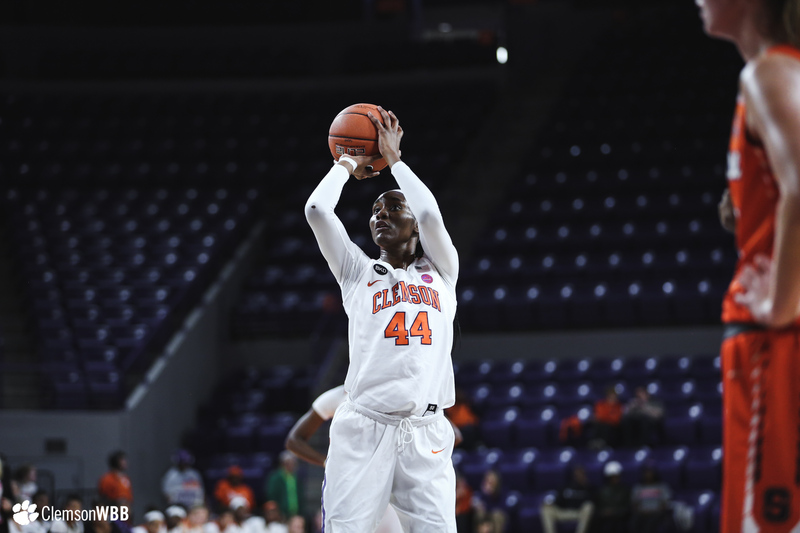 The Tigers totaled 24 points in the paint in the second half, an improvement from the 18 first-half paint points. That's another 3-point play for the Tigers! 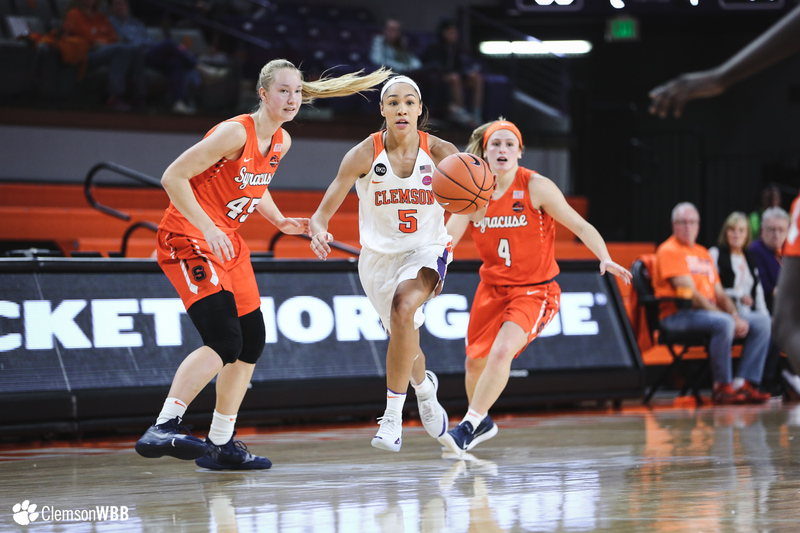 Better shot selection and improved ball movement fueled a Clemson offense that shot 45.5 percent from the field in the second half. 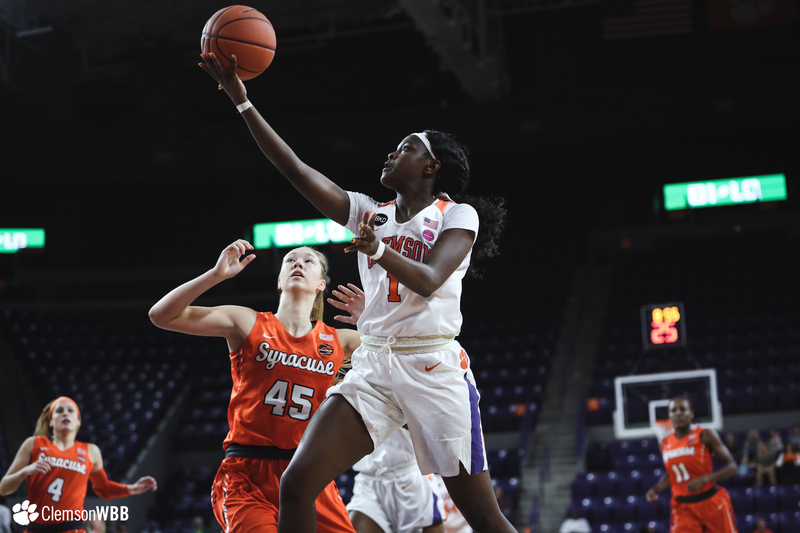 Most importantly, the Tigers capitalized on second-chance opportunities, tallying 13 points off second-chance efforts, a number that sat at zero in the first half. 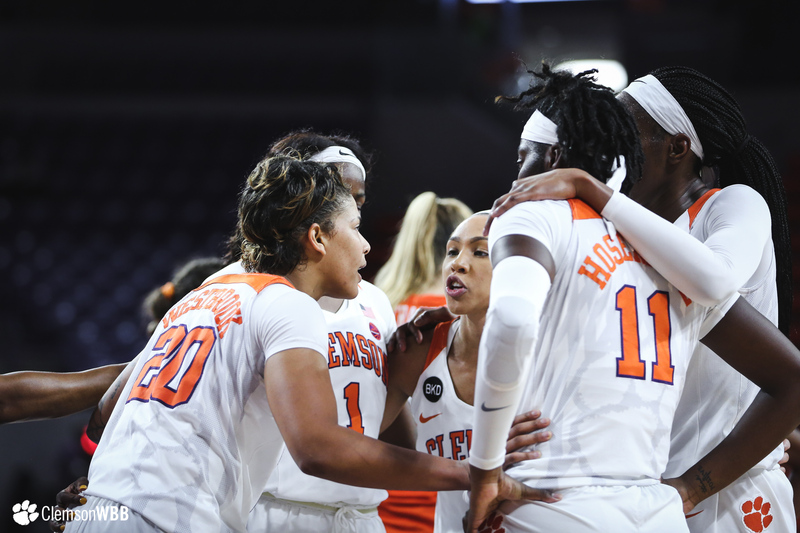 In the backcourt, the home team was electric, playing aggressively on the glass to outrebound ‘Cuse 22-19 in the final 20 minutes, including 11 offensive boards. 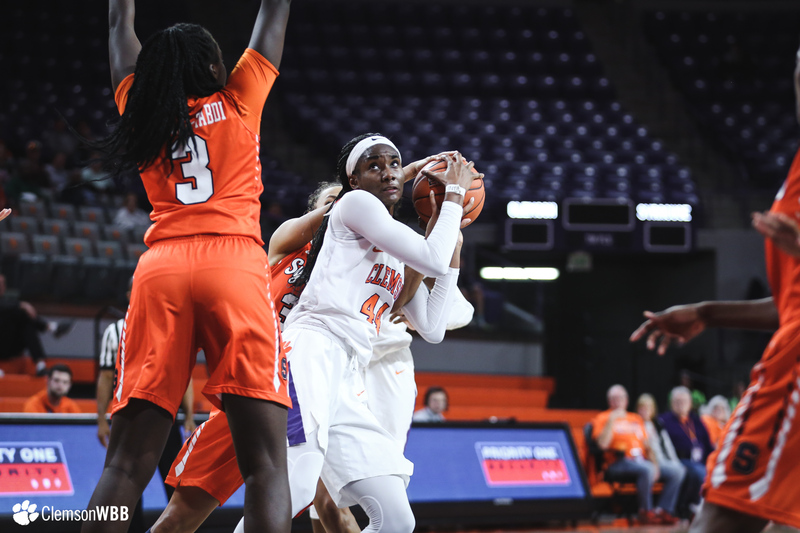 Away from the rim, the Tigers remained diligent with five blocks and five steals in the second half alone.